Discover this Melania transparent and fine black tulle fabric with beautiful sequin embroidered graphic herringbone patterns. Fall for this gold details with embroideries made with sequins and lurex threads. 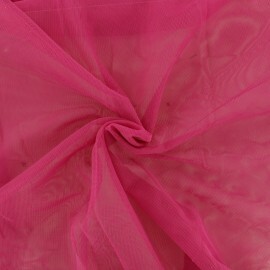 This tulle fabric is used in clothing for dress bodice's, facings, suits, evening dresses and wedding dresses. Discover this Valentina transparent and fine black tulle fabric with beautiful sequin embroidered flowers. Fall for this flowery white and gold details with embroideries made with sequins. 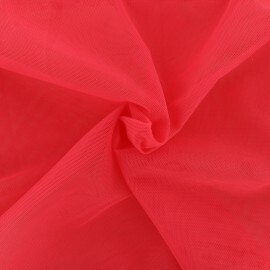 This Valentina tulle fabric is used in clothing for dress bodice's, facings, suits, evening dresses and wedding dresses. Discover this Vera transparent and fine black tulle fabric with beautiful sequin embroidered flowers. Fall for this flowery pink details with embroideries made with sequins. This Vera tulle fabric is used in clothing for dress bodice's, facings, suits, evening dresses and wedding dresses. 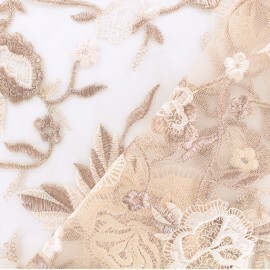 Discover this pretty raw embroidered tulle fabric with little pompons. 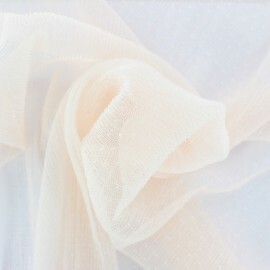 This tulle is a very soft, light and transparent fabric. This romantic Tulle fabric is used in clothing for evening dresses and skirts. 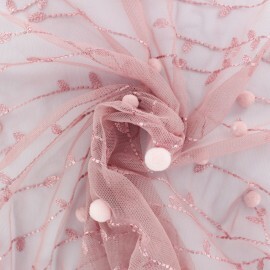 Discover this pretty old pink embroidered tulle fabric with little pompons. 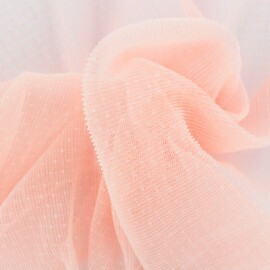 This tulle is a very soft, light and transparent fabric. This romantic Tulle fabric is used in clothing for evening dresses and skirts. Discover this pretty powder pink Dorine pleated tulle fabric with discreet dots. 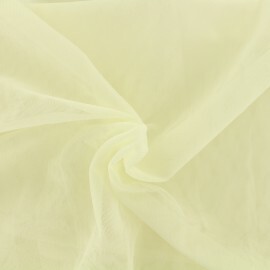 This tulle is very soft and supple, the pleated effect brings some relief to this very light and transparent fabric. This Dorine Pleated Tulle fabric is used in clothing for dress bodice's, facings, suits, evening dresses and skirts. Discover this pretty light pink Dorine pleated tulle fabric with discreet dots. 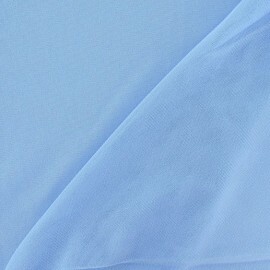 This tulle is very soft and supple, the pleated effect brings some relief to this very light and transparent fabric. This Dorine Pleated Tulle fabric is used in clothing for dress bodice's, facings, suits, evening dresses and skirts. 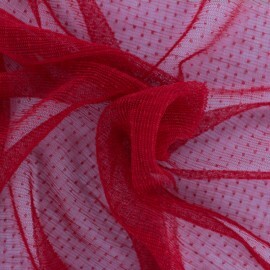 Discover this pretty red Dorine pleated tulle fabric with discreet dots. This tulle is very soft and supple, the pleated effect brings some relief to this very light and transparent fabric. 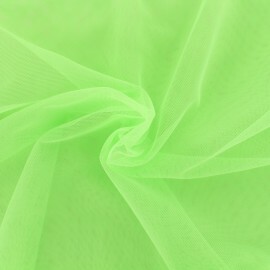 This Dorine Pleated Tulle fabric is used in clothing for dress bodice's, facings, suits, evening dresses and skirts. 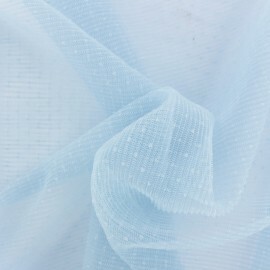 Discover this pretty sky blue Dorine pleated tulle fabric with discreet dots. 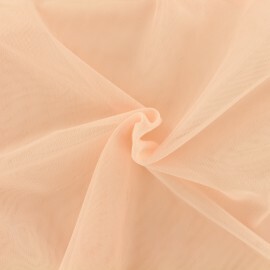 This tulle is very soft and supple, the pleated effect brings some relief to this very light and transparent fabric. 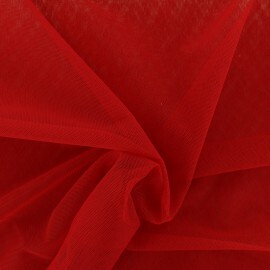 This Dorine Pleated Tulle fabric is used in clothing for dress bodice's, facings, suits, evening dresses and skirts. 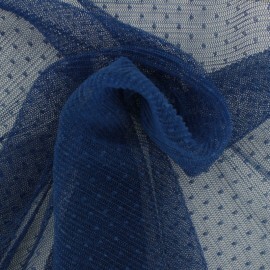 Discover this pretty Royal blue Dorine pleated tulle fabric with discreet dots. This tulle is very soft and supple, the pleated effect brings some relief to this very light and transparent fabric. This Dorine Pleated Tulle fabric is used in clothing for dress bodice's, facings, suits, evening dresses and skirts. 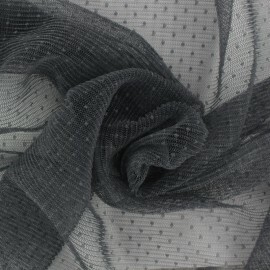 Discover this pretty grey Dorine pleated tulle fabric with discreet dots. This tulle is very soft and supple, the pleated effect brings some relief to this very light and transparent fabric. 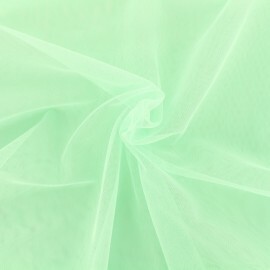 This Dorine Pleated Tulle fabric is used in clothing for dress bodice's, facings, suits, evening dresses and skirts. 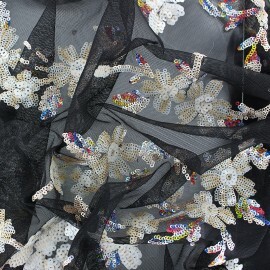 Discover this transparent and fine black tulle fabric with beautiful sequin embroidered flowers. Fall for this flowery details with embroideries made with sequins. 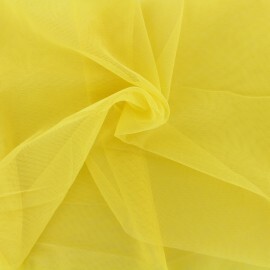 This Mariah tulle fabric is used in clothing for dress bodice's, facings, suits, evening dresses and wedding dresses. 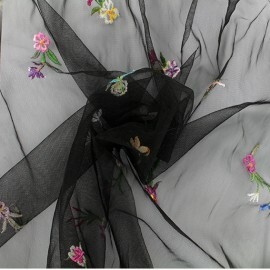 Discover this transparent and fine black tulle fabric with beautiful embroidered flowers. Fall for this flowery details with embroideries, relief and sequin. 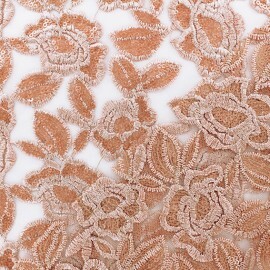 This Katerina tulle fabric is used in clothing for dress bodice's, facings, suits, evening dresses and wedding dresses. Discover this fancy transparent and fine tulle fabric with rainbow colors. 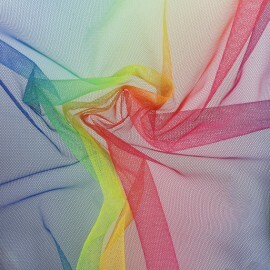 This light Rainbow tulle fabric is used in clothing for dress bodice's, skirts, and disguises. 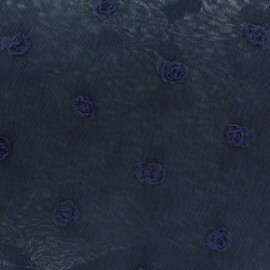 This navy blue tulle fabric with embroideries of roses in relief is a light and airy fabric perfect for making wedding and evening dresses and costumes (skirts, tutu, hair accessories). 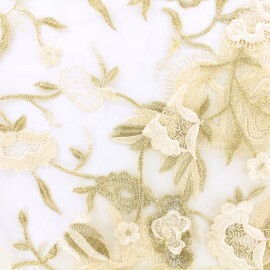 This cream tulle fabric with embroideries of roses in relief is a light and airy fabric perfect for making wedding and evening dresses and costumes (skirts, tutu, hair accessories). 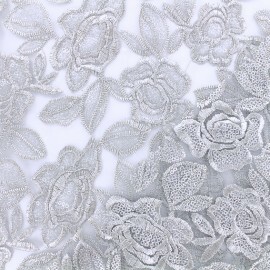 This raw tulle fabric with embroideries of roses in relief is a light and airy fabric perfect for making wedding and evening dresses and costumes (skirts, tutu, hair accessories). 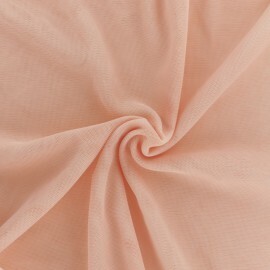 This Peach Pink Princess tulle fabric is a light and airy fabric perfect for making evening dresses and costumes (skirts, tutu, hair accessories). This royal blue Princess tulle fabric is a light and airy fabric perfect for making evening dresses and costumes (skirts, tutu, hair accessories). 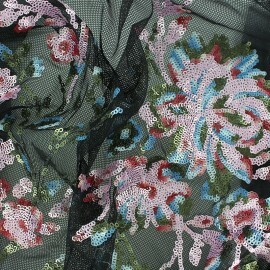 Discover this black transparent and fine tulle fabric with patterns of roses and violets. 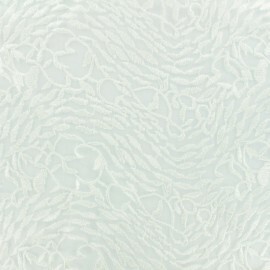 This Evelina tulle fabric is used in clothing for dress bodice's, facings, suits, evening dresses and wedding dresses. 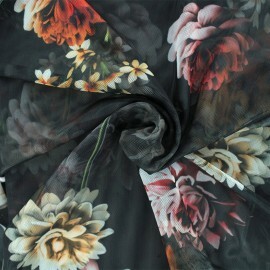 Discover this black transparent and fine tulle fabric with patterns of peonies and dalhias. 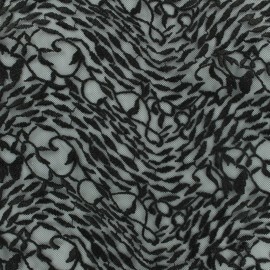 This Evita tulle fabric is used in clothing for dress bodice's, facings, suits, evening dresses and wedding dresses. 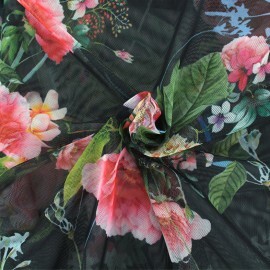 Discover this black transparent and fine tulle fabric with red patterns of flowers from a private english back yard. 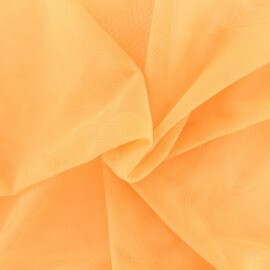 This Esteva tulle fabric is used in clothing for dress bodice's, facings, suits, evening dresses and wedding dresses. 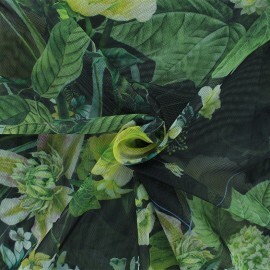 Discover this black transparent and fine tulle fabric with green patterns of flowers from a private english back yard. 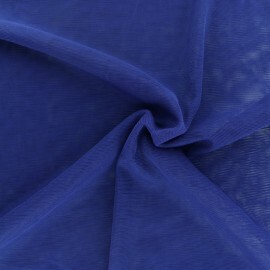 This Esteva tulle fabric is used in clothing for dress bodice's, facings, suits, evening dresses and wedding dresses. 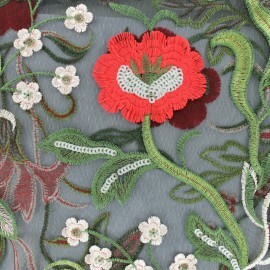 Discover this transparent and fine fabric with beautiful embroidered flowers. 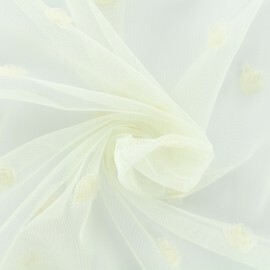 This Edelweiss tulle fabric is used in clothing for dress bodice's, facings, suits, evening dresses and wedding dresses. Discover the silver Detroit tulle fabric with beautiful flower embroidery. 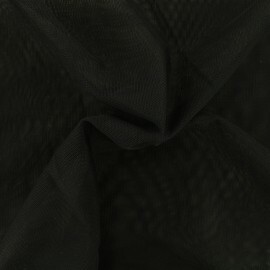 This fabric is used in clothing for corsage trimmings, facings, suits, evening dresses and wedding dresses. Discover the pink cooper Detroit tulle fabric with beautiful flower embroidery. 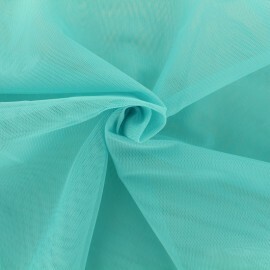 This fabric is used in clothing for corsage trimmings, facings, suits, evening dresses and wedding dresses. 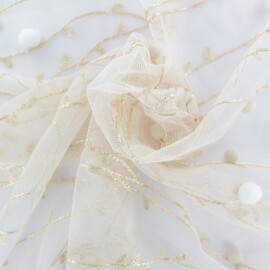 Discover the gold Camille tulle fabric with beautiful metallic thread embroidered details. 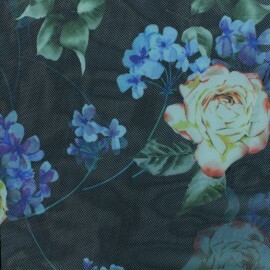 This fabric is used in clothing for corsage trimmings, facings, suits, evening dresses and wedding dresses. Discover the Camille tulle fabric with beautiful metallic thread embroidered details. 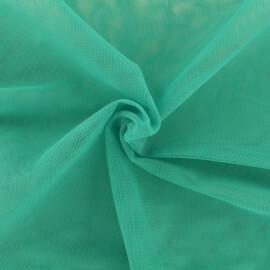 This fabric is used in clothing for corsage trimmings, facings, suits, evening dresses and wedding dresses. The tulle is a lightweight, aerial and perforated fabric made up of a network of regular meshes of fine yarns (cotton, silk, synthetic...). It is often used in decoration (curtains, tablecloths, weddings) or for the making of costumes (skirts, tutu, hair accessories). Discover this transparent and fine fabric with beautiful embroidered details. 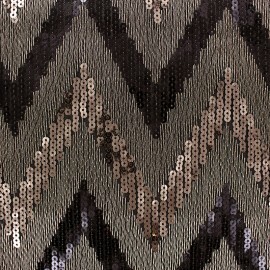 Due to the use of shining threads of embroidery, you will find on this fabric a sublime mixture of ecru. 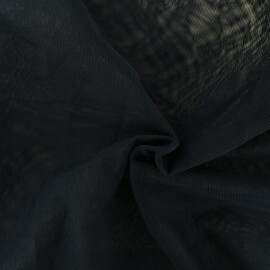 This fabric is used in clothing for corsage trimmings, facings, suits, evening dresses and wedding dresses. Discover this transparent and fine fabric with beautiful embroidered details. 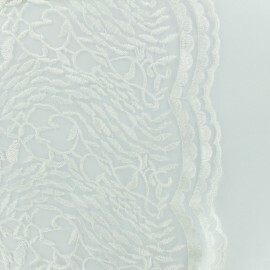 Due to the use of shining threads of embroidery, you will find on this fabric a sublime mixture of white. 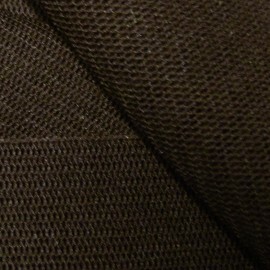 This fabric is used in clothing for corsage trimmings, facings, suits, evening dresses and wedding dresses. Discover this transparent and fine fabric with beautiful embroidered details. 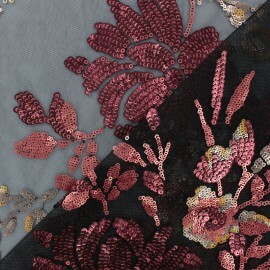 Due to the use of shining threads of embroidery, you will find on this fabric a sublime mixture of black. 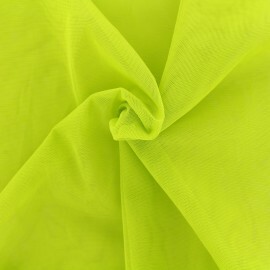 This fabric is used in clothing for corsage trimmings, facings, suits, evening dresses and wedding dresses.